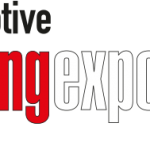 WKS Informatik GmbH has over 20 years of experience in HiL testing and building automated testing systems for the automotive industry. 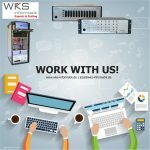 Focusing on developing more modular and flexible testing systems for LV 124 / LV 148, has pushed the WKS Informatik’s RTStand LV 124 platform (for fully-automated testing) further and allowed it to integrate components capable to support both norms, such as the Tube Analyzer (as a measurement and analysis device) and UFI (as a switch for interruption tests). The two products are essential for any kind of LV 124 / LV 148 testing needs. 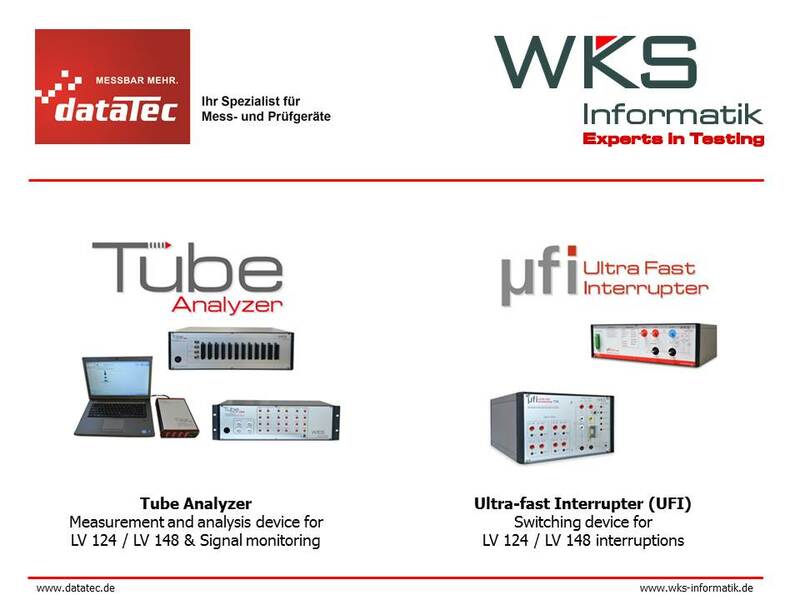 Datatec AG and WKS Informatik are glad to officially begin their distribution cooperation for the WKS Informatik products Tube Analyzer and UFI, with the aim of improving delivery times and customer support for LV 124 / LV 148 testing needs.